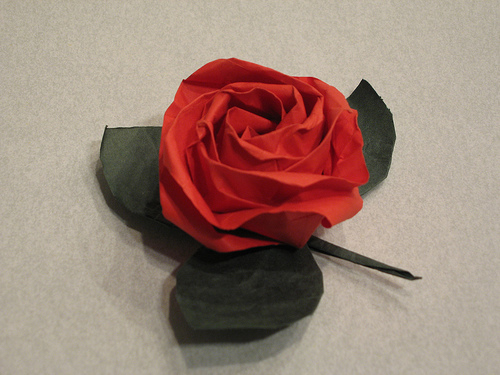 Well, an origami rose does not smell just as sweet… though with the scent-free environments dominating schools more and more, this might be a good thing? 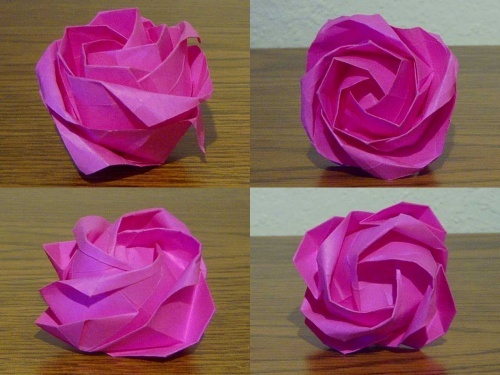 At any rate, this post is about pretty origami roses. The designs you see here are Kawasaki Roses, after which a film was named; the film’s secrets were complex and revealed only by peeling away later after layer. If you want to know why it was named the Kawasaki Rose, that’s because a dude named Kawasaki invented the method. Simple. Now, I’m just a fan, I don’t actually buy paper and fold these, so I’m going to be linking to a couple of videos which are made by people who actually do this well. So, enjoy the pretty pictures and pursue this as much as you feel like. Lovely variety, and all it takes is differently colored paper. “A blue rose” is an English idiom for something that is impossible in nature. 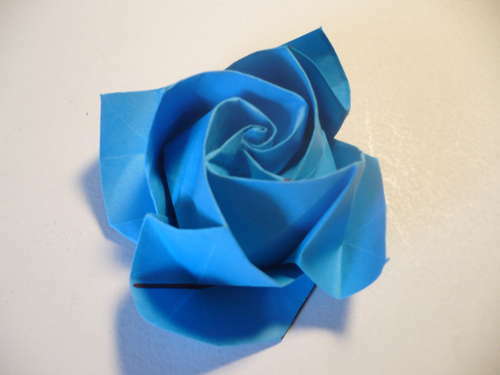 Besides origami, you can dip a rose in blue dye or, in more recent times, genetically engineer one. 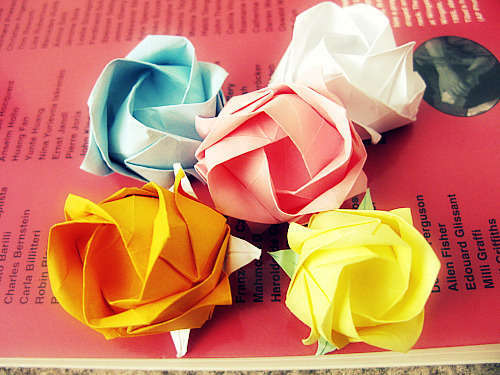 Of these methods, origami seems the most sane. This one’s in HD, for people who care about that. 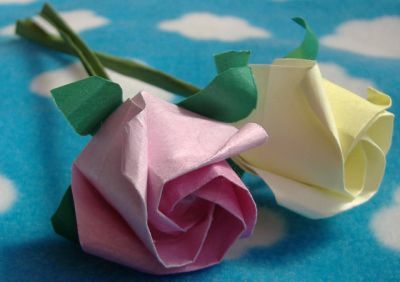 This entry was posted in Art, Culture, Japan and tagged art, culture, Japan, origami, rose. Bookmark the permalink. My brother recommended I might like this blog. He used to be entirely right. This publish actually made my day. You can not imagine just how a lot time I had spent for this information! Thanks!